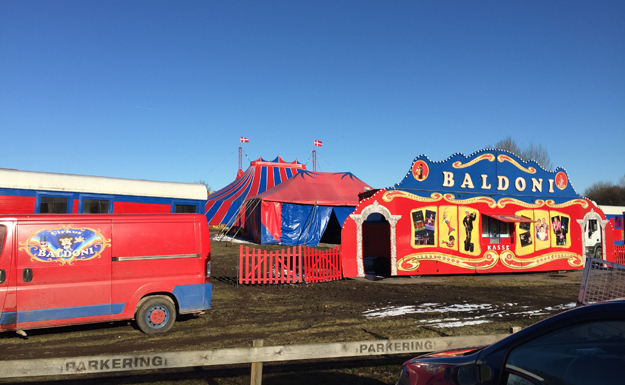 Circus Baldoni was established in 1998 by René Moenster Baldoni under the name Cirkusteatret Aloe ("The circus theatre”). René Moenster worked from 1986 to 1994 for Circus Arena as assisting manager and performed for some seasons as magician under the name Ron Marvin. In 1995 he established a theatre with performance for kids. 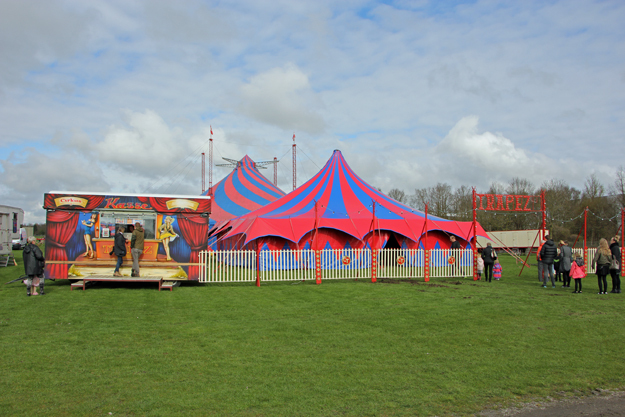 From 1998 to 2001 the Circus-theatre was more a theatre than a circus although the performance included several circus acts. The play within a circus was scripted. After a poor 2001-season René Moenster changed concept to a more traditional show touring under the name Cirkus Baldoni. 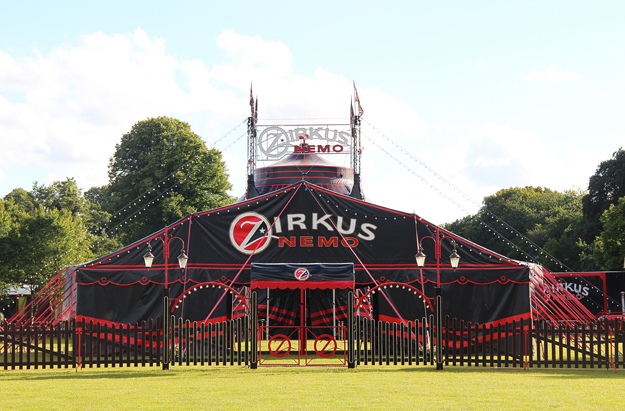 Zirkus Nemo is owned by the Danish actor and comedian Søren Østergaard. It is a combination of a circus and a comedy show. It was established in 1999 and was at that time mainly a comedy show with Søren as the main star. He is still the main star in the performance, but today also international top artist are part of the performance. Both in 2016 and 2018 the Danish Circus Awards prize for the best circus act of the year was given to artists working in Zirkus Nemo. Circus Trapez is owned by Isabella Enoch Sosman and her spouse Bernhard Kaselowsky. 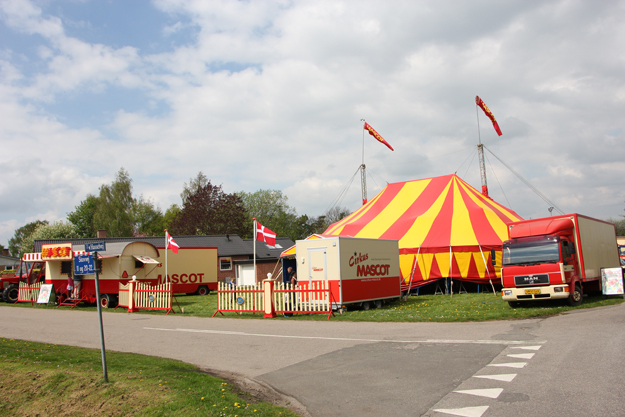 As touring circus it was established in 2016. Before starting Circus Trapez Isabella Enoch worked for the Enoch family’s Circus Dannebrog. Circus Mascot. Daniel Deleuran and his mother and Marianne Deleuran own circus Mascot. The show was established in 1994 by Daniels parents Jess and Marianne Deleuran. They use a big top seating 270 persons. Benny Schumann (born 1945, grandson of the late clown Charlie Rivel) has for many years presented several one-man-shows in Denmark. Benny Schumann was trained by his parents Albert and Pauline Schumann as a horse-trainer, rider and multi-artist in the Schumann Circus, Copenhagen. 1967 saw the premiere of his juggler act with plates and glass bowls. After the circus season in the same year he left the family circus to go on tour with the juggler act in Europe, the United States, Canada and Africa during the following ten years under the name Ric Benny. 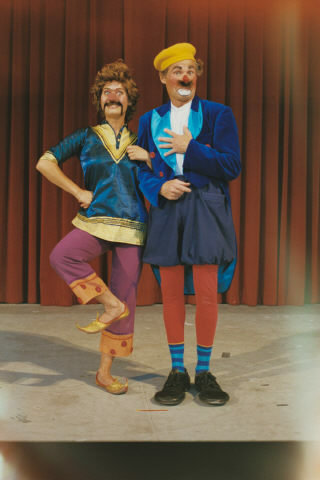 In 1980 Benny Schumann and his wife Marianne started to perform in Denmark with an artist and clown show. 1984 saw the premiere of Benny's one-man show "The Clown", in which he performs as juggler, ventriloquist, tightrope walker, magician and clown with music and gags written by himself. In 2000 Benny included a pony-show and a goat in the performance. This versions of his show were presented under the name Circus Benny Schumann. In addition to perform with his one-man show Benny Schumann was from 1996 to 2006 artistic director of The International Clown Festival, which in those years was held every year in August at Dyrehavsbakken (Denmark's oldest amusement park, north of Copenhagen). 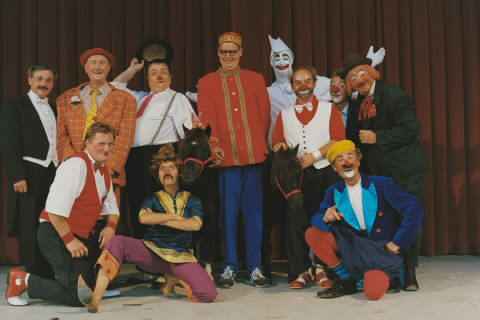 From 2008 to 2012, Bakken instead offered international clowns, presented by Benny Schumann. Since then the have neither been artist nor clowns at Bakken. From the clown festival at Bakken. Benny Schumann is to be seen to the far right in the front row.